Went last night to watch my fellow odissi dancer Mayuka perform her contemporary dance piece and had a wonderful time watching contemporary dance. Its great fun to watch new artistes perform, in classical or contemporary formats. Such a breath of fresh air! It made me think along the lines of what I would like to express in a contemporary format. The contemporary dance format is really well suited to our 'I' centred generation with its unlimited performance art kind of canvas. I still prefer to work on the path of expressing my self within the format of odissi. I love the time travel to a world of sculptures, orissa landscape and the divine zone of my beloved gods and goddesses. 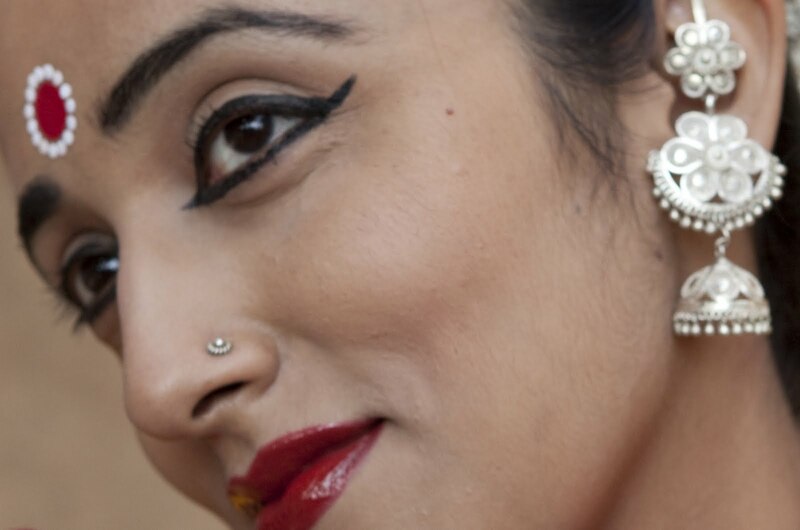 I wish to deepen my understanding of odissi dance and music in order to express not just myself, but to deepen my quest into this awesome world where I travel. It is an internal world as much as physical, close to the cosmic landscape one experiences in meditation. I hope my odissi space shuttle takes me to many unknown galaxies which few few rishis and sages have experienced. So till then I am very much on aboard getting all my space gear in place, preparing for the wonderful journey into the cosmos. 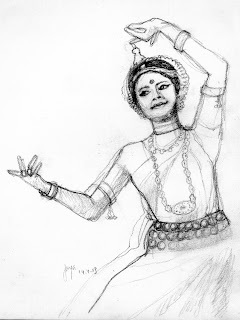 Odissi is my wonderful vehicle, my medium to reach places and then come back to plunge into the temple of my heart. Deep divine love and unabandoned intoxication is all I seek, from the miles and miles I have to travel before I sleep. Some of my dance thoughts felt precious, like the relationship with different dances likened to having different friends. All with such varied personalities, some more subtle, some so larger than life, and some oh-so high maintenance:)!! I think the biggest difference to dancing now after two babies is that I realise more and more how much bigger than me dance is. And how life is a creative process just like dance and all our creativity is created, developed and nurtured together. I grow in many ways creatively now: as a dancer, artist and mum, finding new inspiration and immense joy in dance, all works of art and my lovely babies. Life is a masterpiece when viewed in its totality, to be fixated on one thing is kind of like losing perspective. One seeks for creativity and deep insight from many aspects of life and art, the search is the same. The lesser the tags we put on our wonderful painting of life, the more multicolour our experience of it will be!